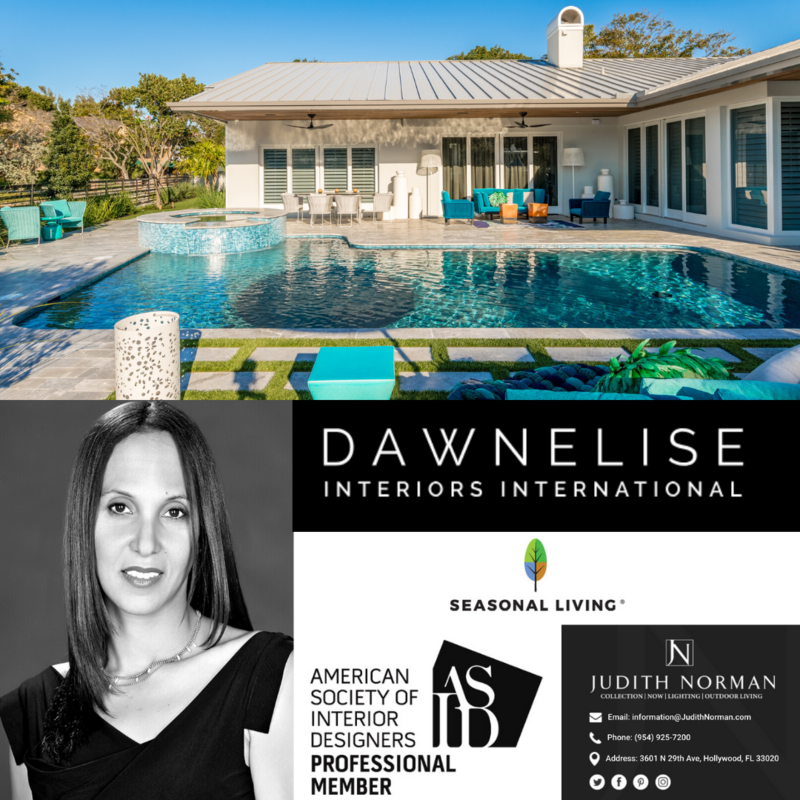 We’re excited to bring you this spotlight blog showcasing an exciting design collaboration between Ft. Lauderdale based interior designer, Dawn Elise Hamilton, ASID, the owner of www.dawneliseinteriors.com and our *to the trade only* showroom partner in Hollywood, FL, near Miami, Judith Norman. 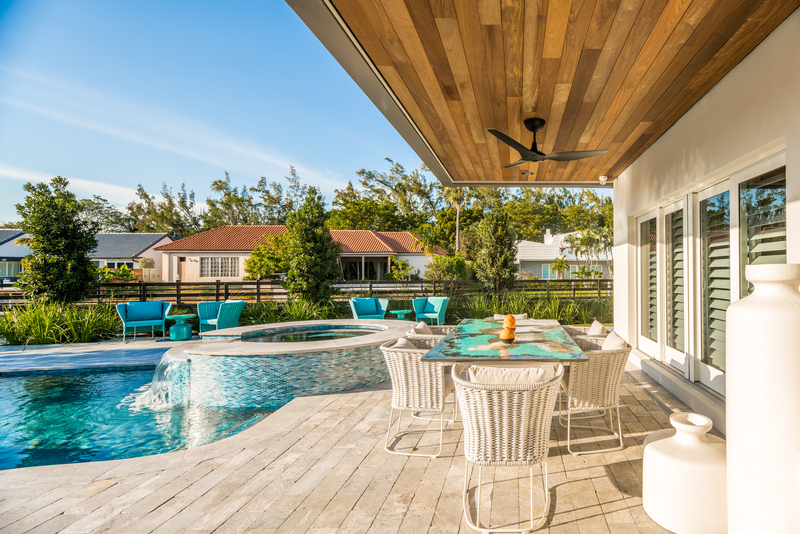 We were kindly given permission to bring you these spectacular photos of the gorgeous indoor outdoor living area Dawn recently completed for one of her clients, a prominent Ft. Lauderdale, Florida philanthropist, which utilized many pieces from our collection that she found at Judith Norman. When we spoke to Dawn by phone, she told us she had completed the interior remodeling of this stunning home in Bay Colony 2 years ago. She spoke so glowingly of her client saying she was * a dream client, a *once in a lifetime* type of client. After the interior remodeling was finished, Dawn and her client started on the exterior remodeling. Dawn worked in collaboration with the landscape architecture firm of Cadence-Living.com, located in downtown Ft. Lauderdale, Florida. 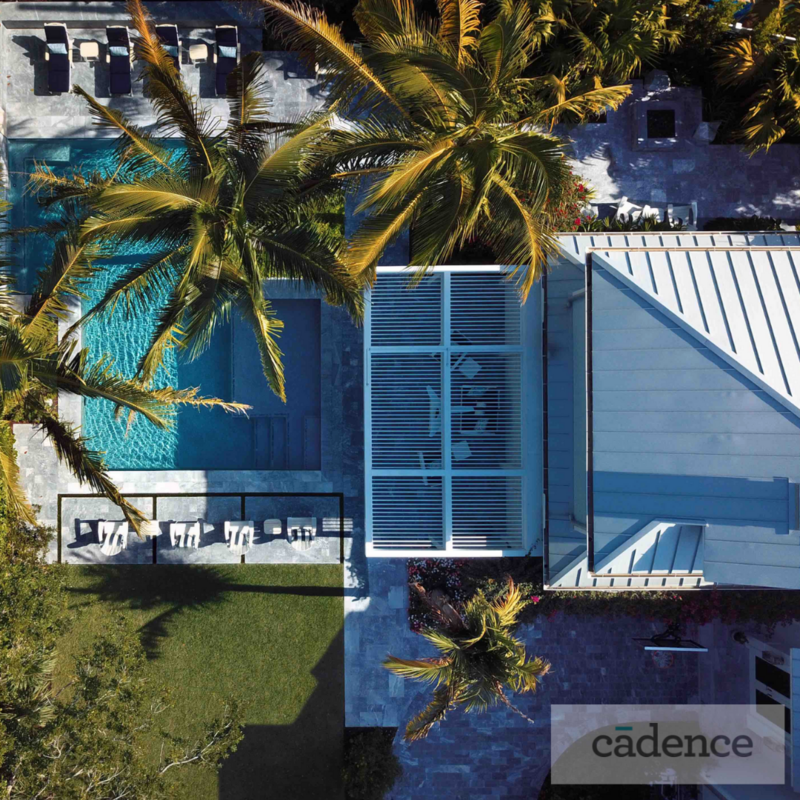 This is an image from another project completed by Cadence. A view of Dawn’s client’s home from the side. 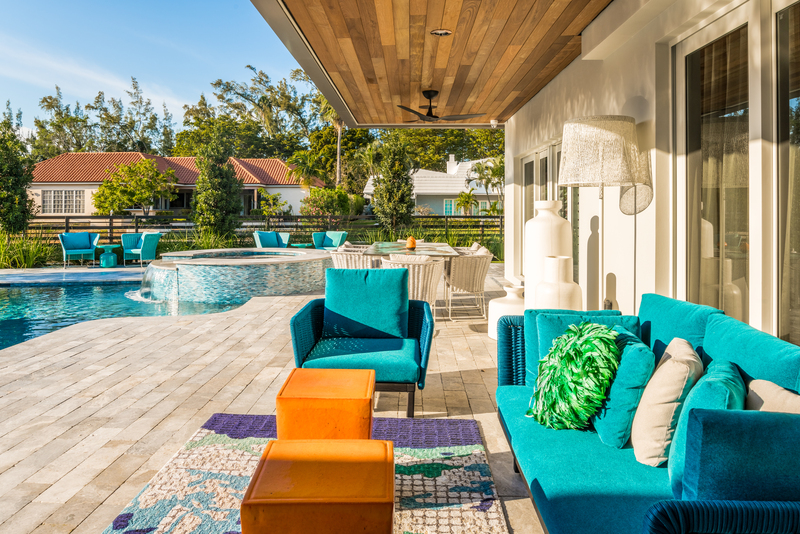 Dawn found several items at the Judith Norman showroom from our ceramics collection to add bright pops of color to her client’s beautiful outdoor living area. Our two glaze ceramic accent tables are seen here in the foreground and our turquoise blue ceramic bottle accent tables are in the background. 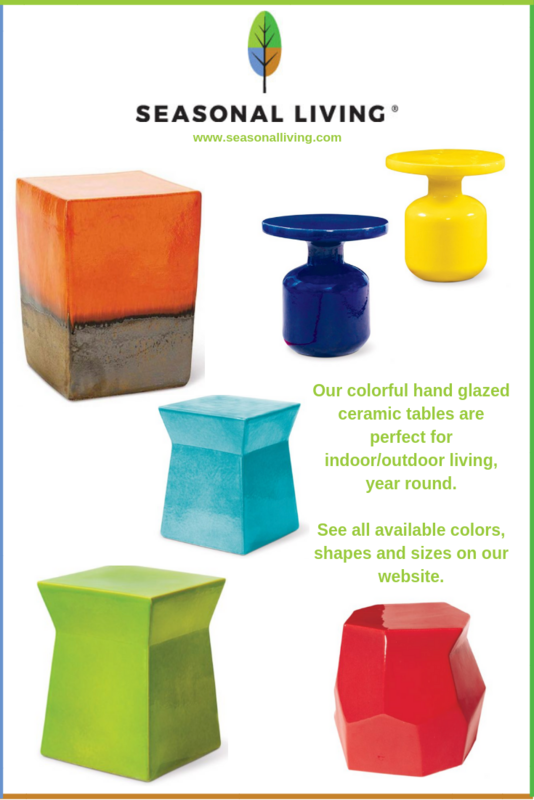 Our ceramic tables are a wonderful way to add instant pops of color to your indoor outdoor living areas. They come in a multitude of colors, shapes and sizes! In addition, for volume orders, they can also be custom colored. In addition, Dawn ordered a custom sized indoor outdoor dining table from our ETNA volcanic stone collection, shown below. 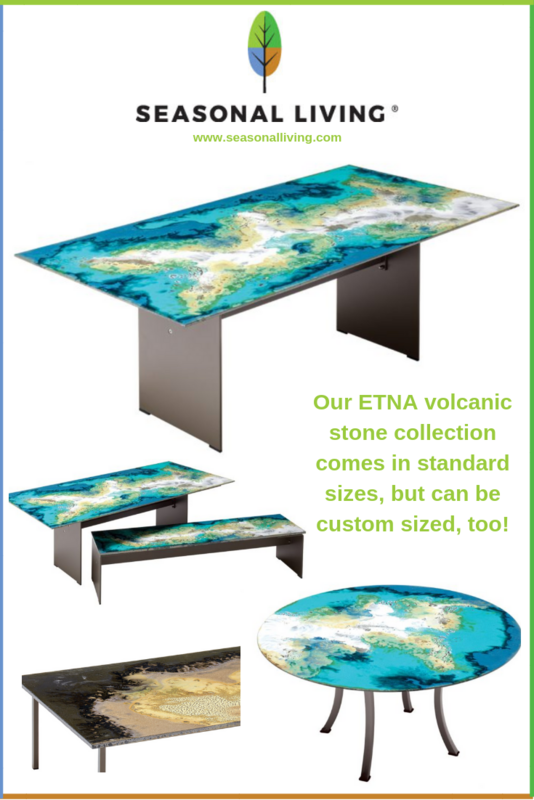 Our ETNA collection tables are impervious to changes in heat and cold and never have to be covered, making the colors in their gorgeous surfaces able to be enjoyed year round, whether you live in the hot tropical climate of southern Florida or the most frigid areas of Canada. Our blue ETNA volcanic stone collection also comes in a taupe, ivory, brown coloration. And besides tabletops, this gorgeous stone can be used for countertops, flooring and for the front of cabinetry. If you’ve ever been to our Las Vegas Market showroom, you have seen it used as the countertop material in our Seasonal Living Cafe. 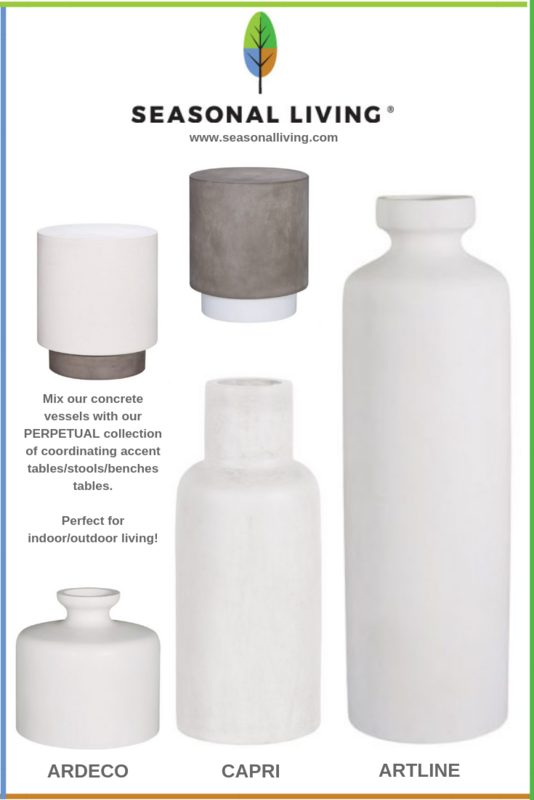 Dawn also specified two sets of our new concrete decorative accent vessels. 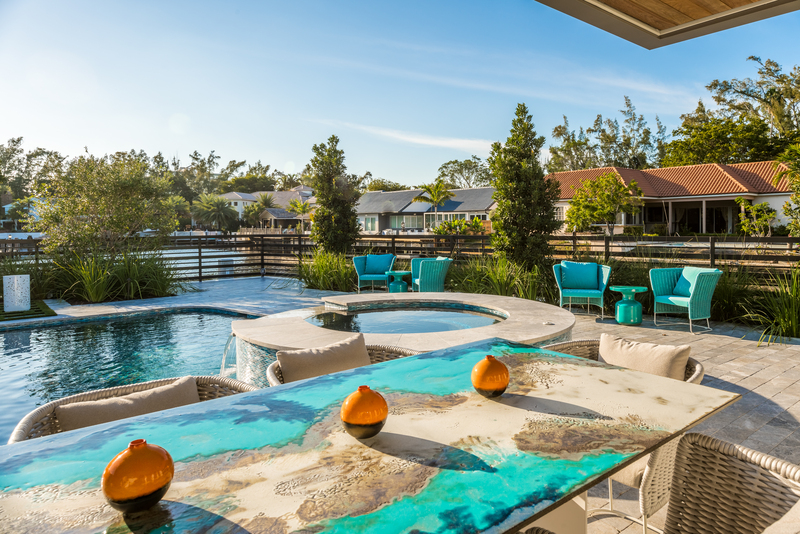 Concrete, a sustainable material, is the perfect accent for luxury indoor/outdoor living areas and will last a lifetime. Shown below are our ANDERO (low), ARTLINE (narrow top) and CAPRI (wider top) polished concrete vessels, with two of our accent tables/stools from our PERPETUAL collection. Here’s a nighttime view of this gorgeous indoor/outdoor living area. Can’t you just imagine how beautiful it is for Dawn’s client when all the interior windows and doors are opened to the view? She’s set it up so perfectly, with plenty of seating, too. 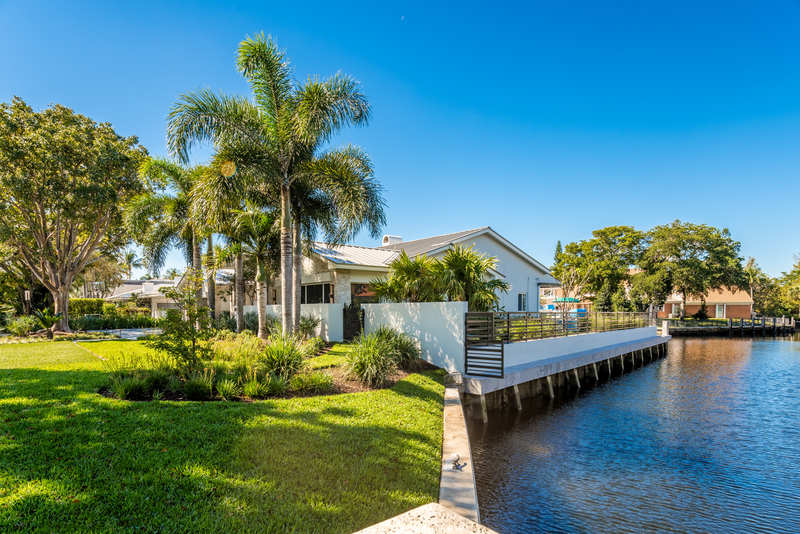 Dawn’s client does a considerable amount of entertaining – for her family, friends and the wider Ft. Lauderdale, Florida community. We love the floating lights, too, do you? Here’s a beautiful SMART floating statement light you can buy from this post, for anywhere you might need it for your own indoor outdoor living areas. 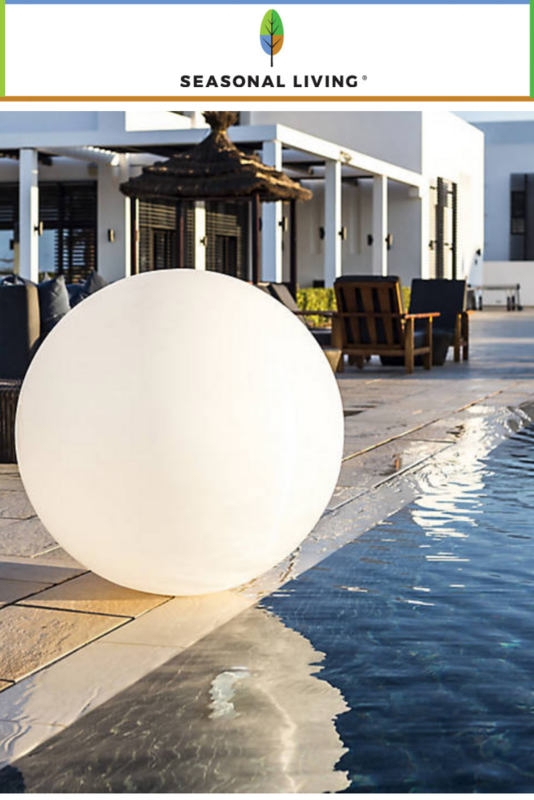 A perfect sphere available in 3 sizes, it has an internal color-changing LED that brings a multi-hued gorgeous glow into your indoor/outdoor living areas. Made out of impact-resistant and waterproof polyethylene, it’s safe whether floating in your pools or set outside. 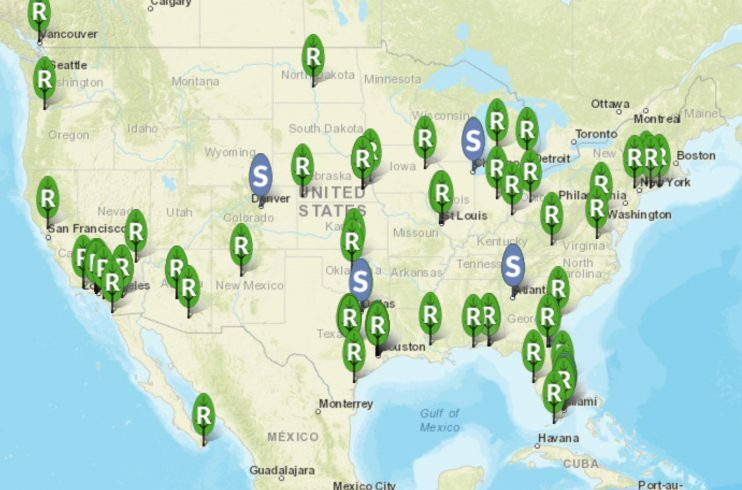 You can change the color, dimming, and scheduling by downloading the Smart and Green app. Using Bluetooth mesh technology without a WiFi network, you can control various scene modes from your own smartphone. We love the idea of being able to change the colors and brightness as the sun sets or rises, do you? To purchase it, click here. (Note: If you do, we will make a small commission, but it will not cost YOU anymore than if you bought it directly. This is the merchant’s way of thanking us for including their products on our blog). 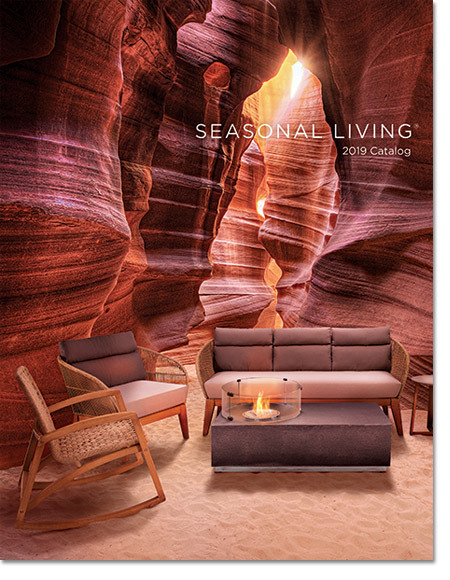 While you are relaxing poolside this spring, we’d also like to suggest this new book to you, The Art Of Outdoor Living, which you can purchase by clicking here. 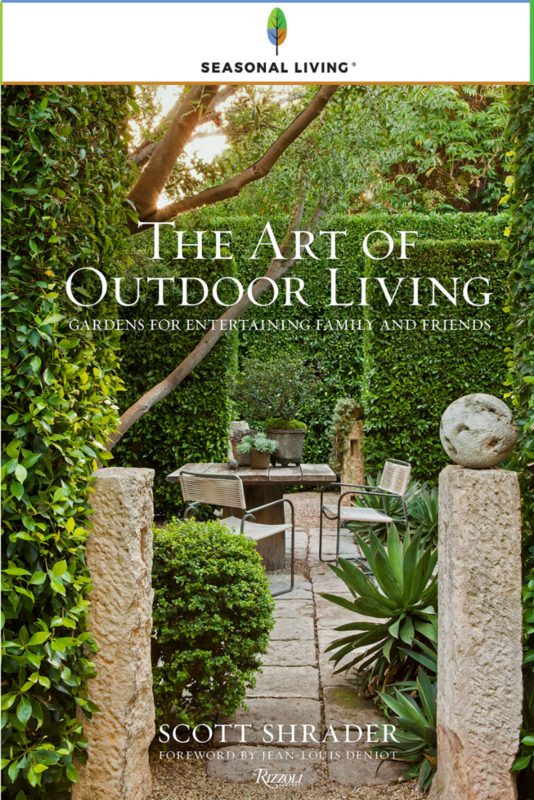 Written by Southern California landscape designer, Scott Schrader, with a foreword by Jean Louis-Denoit, it is full of stunning garden imagery, sure to inspire you! One more final image from the indoor outdoor living area of Dawn’s client. Our thanks to our *to the trade* showroom partner, Judith Norman, for facilitating permission to showcase Dawn’s stunning project on our blog. All photography: Antonio Chagin of ACH Photography in Coral Springs, FL. Click here to see his complete portfolio. And if you live on the East Coast of Florida and are in the market for beautiful new indoor/outdoor furniture, outdoor lighting and decorative accents and planters for your own homes, we hope this spotlight feature will inspire you to ask Dawn for her design assistance and/or seek out our *to the trade* showroom partner, Judith Norman, to learn more about all we offer here at Seasonal Living. 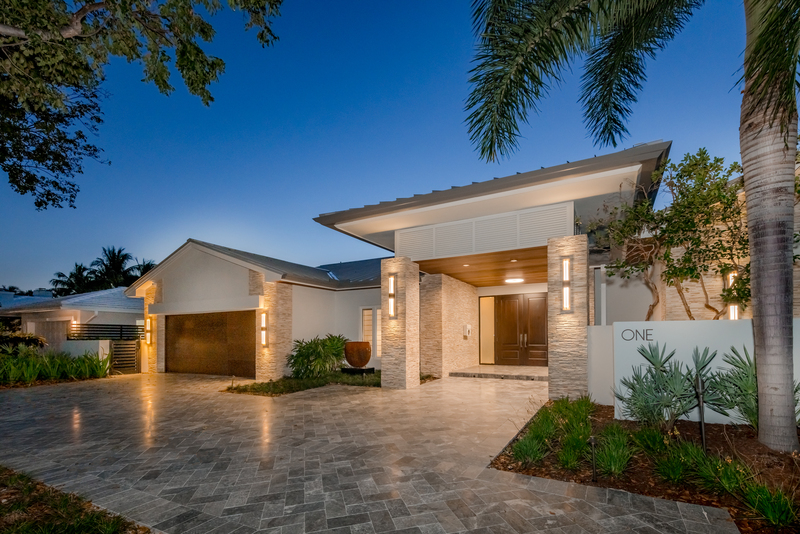 This entry was posted in SL Blog and tagged Bay Colony, best indoor outdoor furniture, best indoor outdoor landscape architects, best indoor outdoor living areas in Ft. Lauderdale, best south florida indoor outdoor living, Dawn Elise Interiors, Ft. Lauderdale luxury properties, Judith Norman, luxury south florida homes, Seasonal Living. Bookmark the permalink. ← Modern Morocco! 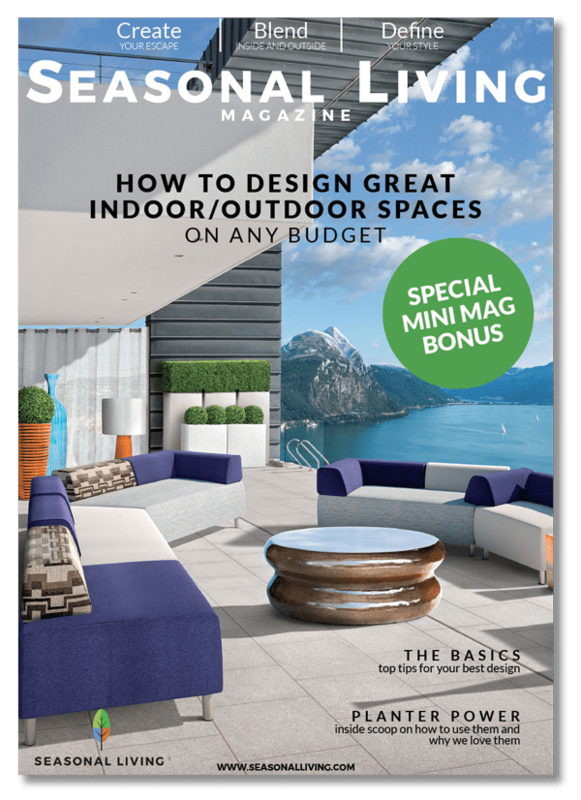 Seasonal Living Magazine Issue 4 Is Live!